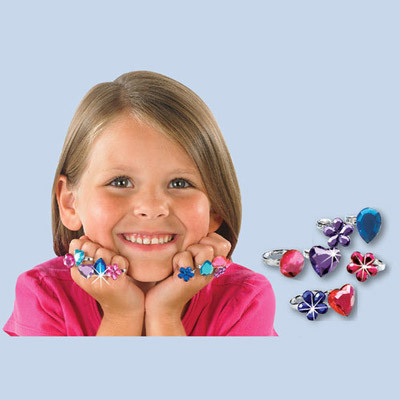 Little girls love the glamorous, grown-up look of our just-pretend gemstone rings. Lots of colours and shapes in ten delightful rings. Adjustable size in durable plastic. Each approximately 1½"w. Set of 10.